Note: The information in this article is intended for informational purposes only. Working in this field must be done within scope of practice, in conventional medical partnership, and with adequate education and training. “The patient’s body must be touched with hands of peace, whispered to, reverently anointed, and handled as if it is a delicate flower.” – Gayle McDonald, author of Medicine Hands: Massage Therapy for People with Cancer. physician’s report that the cancer is in remission. Appropriate bodywork includes lymph drainage, trigger point therapy, neuromuscular therapy, myotherapy and myofascial release, and energy work such as Reiki or Healing Touch. Skilled touch is beneficial at nearly every stage of the cancer experience: hospitalization, pre- and post-operative, outpatient care, during chemo and radiation, recovery at home, remission or cure, and during the end stage of life. Regardless of how severe the side effects of cancer treatment, there is always a way to increase the patient’s comfort with some type of touch therapy. It is crucial to have a qualified practitioner who has been trained in working with cancer patients. Cancer treatment places a heavy toxin load on the body, which massage can help eliminate. With a low white blood cell count, the immune system is vulnerable to external pathogens. Until immunity recovers, introduction of germs can have devastating consequences. 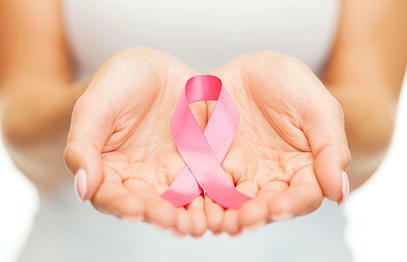 Therefore, extreme attention to hygiene should be practiced in the treatment of cancer patients. Light pressure is always used, because low platelet count renders the patient vulnerable to bruising or internal bleeding. Because weakness and fatigue are common during treatment, a conventional 60-minute massage session may be too long and arduous. More frequent but shorter sessions, 20 minutes or less, are a more realistic and beneficial goal. Traditional cancer therapies can dehydrate the body, thus the typical use of IV fluids. With a shortage of fluids to flush out any toxins released by bodywork, a massage that is too intense can maximize stress on the liver and kidneys, and can trigger a toxic reaction. Again, brief, light sessions can circumvent this issue. The theory that massage may cause metastasis is no longer considered a threat. Science now understands that cancer spreads due to genetic mutation, and not by mechanical means such as massage or exercise. However, it is still crucial to recognize there sometimes are contraindications. For example, a therapist shouldn’t work directly on a site of radiation, tumor or lymphedema, without special training. Heat application is contraindicated if the patient has high blood pressure or a heart condition concurrent with cancer. At Pacific Massage Services, we offer a variety of services that can be combined into customized treatment plans for each client’s individual needs. We provide in-home services for patients and office appointments for family and caregivers. Special programs & pricing available. Because oncology medications are so numerous and complex, it is beyond the scope of this publication to discuss individual drugs. We research each cancer patient’s medications on a case-by-case basis for cautions and contraindications to massage therapy, and proceed with treatment only if deemed safe and appropriate, according to our research sources. Working with this population is not only challenging, but requires specialized training. Any cancer patient desiring massage should be sure to choose a therapist who is trained in the physiological, mental and emotional components of cancer illness and treatment. Gentle massage is the most effective, well-known complementary therapy for cancer patients. Research on its efficacy indicates that massage: decreases pain, improves vitality, improves organ function and benefits emotional mood. As our understanding of the benefits of touch for cancer broadens, massage therapy for this population is increasingly in demand. Our Principal Therapist, Donna Thomas, is trained and certified in Therapeutic & Palliative Massage for Cancer Patients, through Sloan-Kettering Memorial Cancer Center, New York City, 1998. She has worked extensively with cancer patients for over 20 years. This entry was posted in Benefits of Massage, Breast Cancer, Cancer, Women's Health and tagged Breast Cancer Awareness Month, cancer on October 5, 2018 by pacificmassage. Tired and Achy All the Time? Got Arthritis? Get Massage Therapy! How Massage Helps You Quit Smoking!